This time of year many of us are finally recovering from the sugar hangover of all those delicious holiday goodies. While it was so much fun enjoying all of the buttery Mashed Potato Puffs, sweet Sugar Cookie Ornaments, and savory Strawberry Champagne Jello Shots, seeing the numbers on the scale go up makes us cringe. So to start off 2013, I am jumping on the bandwagon and making my New Year's resolution to lose some weight - not only to get healthier, but also because I need to fit into my wedding dress in May. But even though I am making it my goal to eat better and exercise more, who says that I still can't enjoy my weekly Frosted fix? 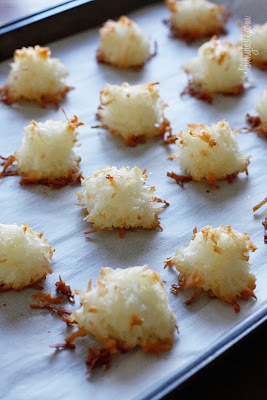 So this week I am sharing some scrumptious skinny treats that will have you eating right with each and every bite! 2. 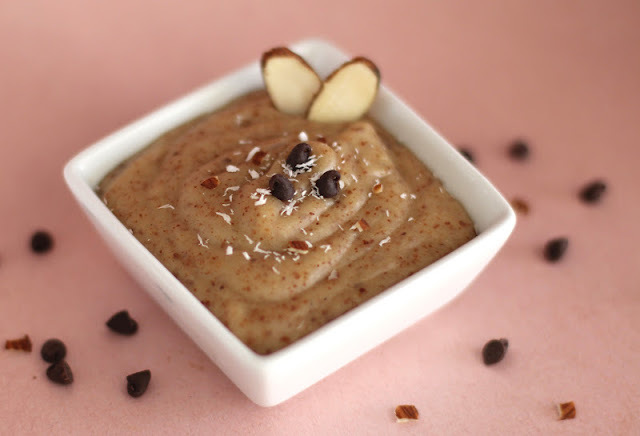 Stir in the coconut milk, then add the sweetener, extracts, and chocolate chips. 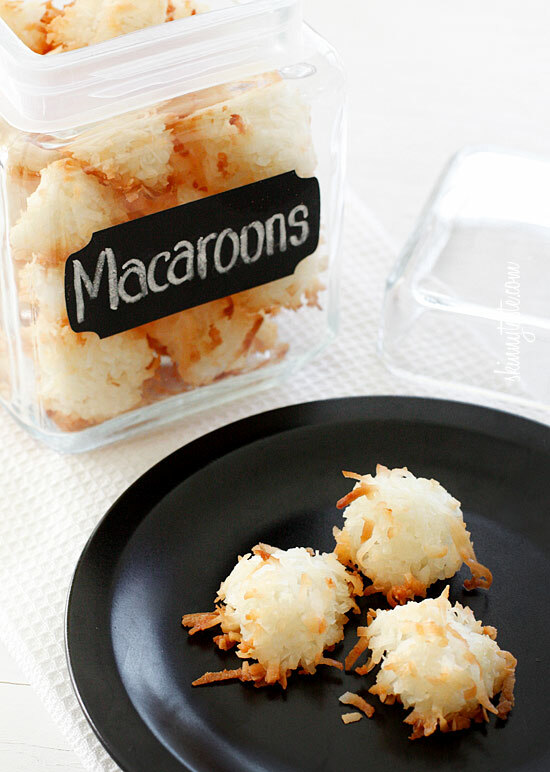 Serve immediately or cover and refrigerate (if refrigerating, stir before using). 1. In a heavy saucepan combine egg whites, sugar and coconut flakes and cook over medium-low heat, stirring frequently until all the ingredients combine together, about 12-15 minutes. The mixture should be sticky and moist, not dry. 2. Remove from heat and stir in the almond and vanilla extracts. 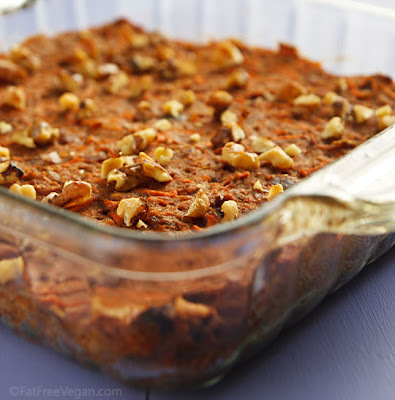 Set aside on a dish and let it cool in the refrigerator about 30 minutes. 3. Preheat the oven to 300°. 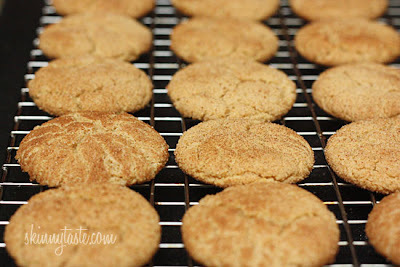 Using a tablespoon, scoop tightly packed tablespoonfuls onto a baking sheet covered with a Silpat or parchment paper. Bake 27-30 minutes or until golden. 1. 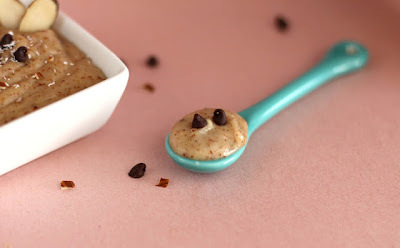 Add all ingredients (except chocolate chips) to a food processor, and blend until very smooth. Then mix in the chocolate chips and form balls. 2. 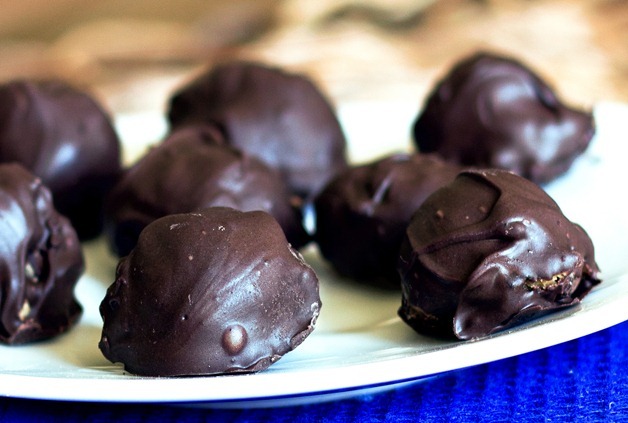 You can eat these plain, but if you wish to cover them in chocolate, then allow to chill in the fridge. Once chilled, melt chocolate chips with 2 teaspoons of coconut oil (or shortening). 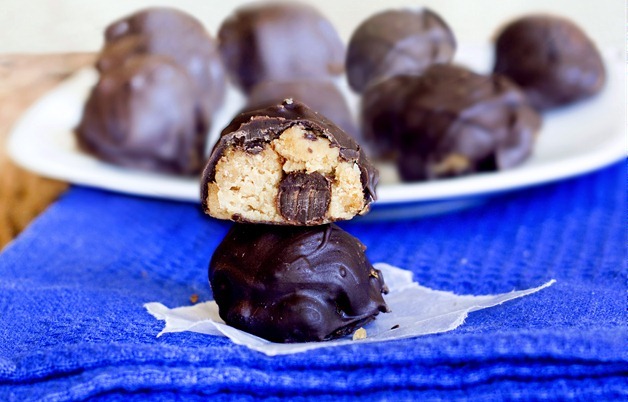 Take the balls from the fridge and cover in chocolate, then return them to the fridge to harden. 1. Lightly spray or oil an 8×8-inch glass baking dish (or use a non-stick silicone pan). Preheat oven to 375 degrees F.
2. Place the pitted dates in a food processor and pulse until the dates are chopped and begin to form a paste. 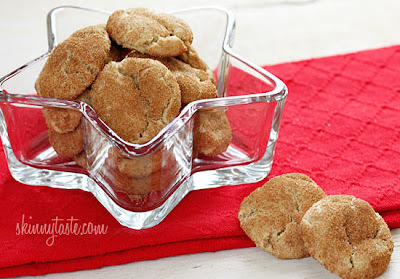 Scrape them into a bowl and add all ingredients EXCEPT flour, baking powder, and walnuts. Stir until all ingredients are well-blended. 3. Combine the flour and baking powder in a small bowl and mix well. Add the flour mixture to the wet ingredients and stir until just blended. Spoon it into the prepared pan, sprinkle with walnuts if desired, and press them lightly into the batter with the back of a spoon. Bake for 30 minutes. 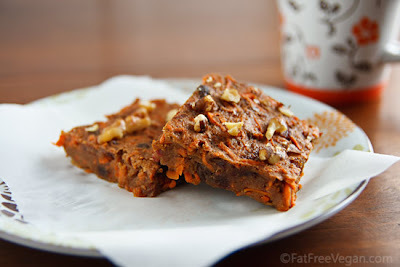 Allow to cool before cutting into bars and serving. 1. Preheat oven to 375°F. Line two baking sheets with Silpat mats and spray with cooking spray. 2. Combine flour, baking soda, and cream of tartar in a medium bowl, stirring with a whisk. 3. Combine 1 cup of sugar and butter in a large bowl; beat with a mixer at medium speed until well blended. Add the agave, vanilla and egg; beat well. Gradually add the flour mixture to the sugar mixture, beating just until combined. Cover and chill for 10 minutes. 4. In a medium bowl, combine 3 Tablespoons of sugar with cinnamon, stirring with a whisk to combine. With moist hands, shape dough into 42 (1-inch) balls. Roll balls in sugar/cinnamon mixture. 5. Place balls 2 inches apart onto baking sheets (slightly flattened them). Bake 375°F for 5-7 minutes (cookies will be slightly soft). Cool on baking sheets for 2 minutes. Remove from pans; cool completely on wire racks. Who knew that dieting could taste so good? These trimming treats would be perfect when served as rewards for you and your friends after you run your next 5K race, as a healthy snack for your child's school lunch, or as yummy dish to serve at your next mommy and baby yoga class. So work out that mixer and bake something light, with healthy desserts that will also delight! Have a great weekend! Creative Cupcakes: Be Still My Heart . . .
Sweet & Special: Valentine's Day Surprise!! Juneberry Baby: Wee Little Wednesday!! Spoonflower Spectacular: DIY Fabric Fun! A Weekend Treat: Red Velvet Pancakes! Tutorial Tuesday: DIY Glitter Clutches!